In this Scripture passage, Jesus is telling His disciples not to rejoice because the demons submit to their authority, but rather rejoice because their names are written in the Lamb's Book of Life. I believe the core of what Jesus is saying in this passage is simply this... relationship supersedes authority. Though signs may follow us wherever we go on this side of heaven, the very reason for this demonstration of the authority that God has entrusted to us is because we belong to Him. 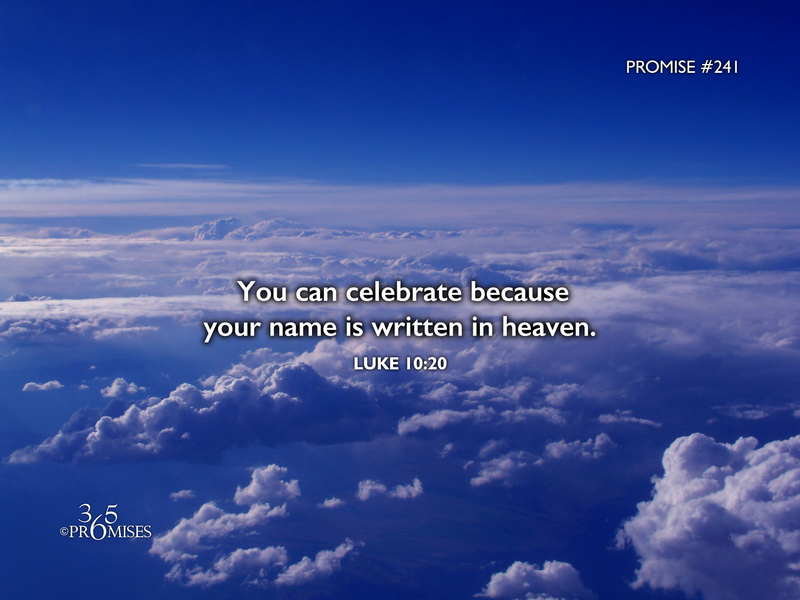 The very fact that our names are written in heaven means that we will live with God Himself for all eternity and that is cause for lots of celebrating! Though we may walk in the miraculous power of God, let us never forget the very essence of why God saved us. He didn't save us to be good workers, He saved us to be His sons and daughters. In Matthew 7:22-24 Jesus warns there will be some people who have walked in miraculous signs and wonders but never knew Him. To 'know' Jesus is to be intimate with Him and that is the very reason why we were saved. In John 17:3, Jesus prays to His Father these words... This is eternal life, that they should know you, the only true God, and him whom you sent, Jesus Christ. (WEB) The very definition of eternal life is being intimate with both God the Father and God the Son. So no matter what amazing works God has you do today, do not rejoice because of the works themselves, but because your name is written in the halls of heaven, where you will live with God forever!